Dr. Hetelekidis joined Radiation Oncology Associates in 1999, and served 2005-2014 as the Chairman of the Department of Radiation Oncology. Her areas of interest are breast cancer, gynecologic and gastrointestinal malignancies. Dr. Hetelekidis graduated from the Massachusetts Institute of Technology with Bachelor of Science degrees in both Biology and Literature. She received her MD degree from the University of Rochester where she was elected to the Alpha Omega Alpha Medical Honor Society. After a medical internship at Beth Israel Hospital in Boston, she completed a residency at the Joint Center for Radiation Therapy at Harvard Medical School. 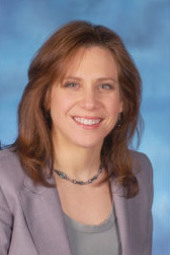 She served on the faculty of Duke University, and then returned to Harvard where she was appointed to the Harvard faculty and served as the Clinical Medical Director for the Department of Radiation Oncology at the Brigham and Women’s Hospital and the Dana-Farber Cancer Institute. She was a consultant at the Dana-Farber Breast Evaluation Clinic, and the Gynecologic Oncology Clinic. She has lectured and published research on the treatment of breast cancer. 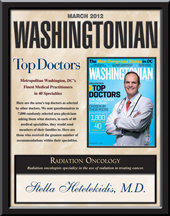 Dr. Hetelekidis is board certified in Radiation Oncology. I couldn’t of been more blessed with such a wonderful team to help me through this journey. I am overwhelmed with gratitude and appreciation. You all are the BEST!! Everyone at this office made the 6 weeks of radiation so much easier. The treatment appointments were so smooth and quick and everyone was so positive. When I had some skin issues the nurses saw me quickly. Dr. H is a caring, compassionate and knowledgeable physician. I will actually miss coming here in a weird way. I came here for the breathe hold radiation technique to treat my breast cancer, but would recommend this practice to anyone needing radiation. The doctors and staff were so nice and compassionate. Truly the best care in a bad situation. Thank you all! She is so compassionate and knowledgeable! She made a serious situation very comfortable. Very kind and professional associates.